County Map of Texas and Indian Territory. 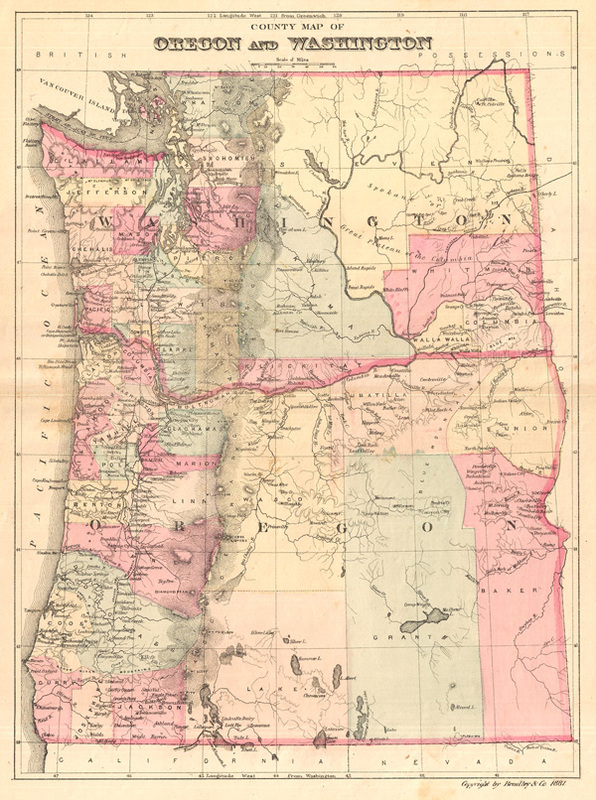 This is an attractive county map of Washington and Oregon, showing counties in light pastels, roads, rivers, and relief shown by fine hachures. By William M. Bradley, from his Bradley's Alas of the World for Commercial and Library Reference, 1881.